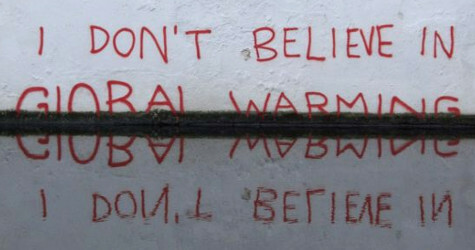 North America has been witness to two distinct forms of climate vandalism over the last year. 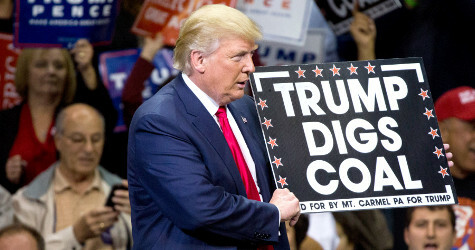 In the case of the United States, it came from President Donald Trump’s decision last week to formally withdraw from the Paris Climate Accord of December 2015, an agreement within the United Nations Framework Convention on Climate Change (UNFCCC) set for 2020 to address greenhouse gas emissions mitigation, and adaptation, as well as proposals for financial assistance. The 21st Conference of the Parties of the UNFCCC in Paris was adopted by consensus, and as of June 2017, 195 countries have signed the agreement, with 148 ratifying it, with each country setting targets, making plans and reporting on its efforts to mitigate climate change. The Paris Accord is, to say the least, a weak agreement, with no mechanisms of enforcement, reliant on market mechanisms, and only commits to slow the rate of growth of GHG emissions and not to reduce them. The country pledges so far, for the most part, have been vague and unlikely to meet targets. The American withdrawal makes a bad agreement and situation much worse, but the hard right and oil sector capitalists supporting – and in – the Trump Administration seem pleased. In the case of Canada, Prime Minister Justin Trudeau has proclaimed Canada’s commitment to the Paris Accord wide and far, and introduced in December 2016 the Pan-Canadian Framework on Clean Growth and Climate Change . But the concrete measures are, well, modest, and centred on a phase-out of coal-fired power, a national price on carbon emissions, ‘clean and green’ building and fuel standards, methane emissions cuts in the oil and gas sector (essentially in tar sands extraction), and a (pitifully) small fund over ten years for green vehicles, public transit and renewable energy infrastructure. At the same time, the climate vandalism will continue with support for the expansion of tar sands production, pipeline expansion, new LNG facilities and the continued effort (following the strategy of the Harper government) to turn Canada into a petro-power. It is anyone’s guess how the tepid calls for a Canadian reduction of carbon emissions by 30 per cent by 2030 relative to 2005 levels can be squared with these market ecology measures and commitments to build fossil capitalism. Indeed, Canada’s extracted carbon emissions have grown by 25 per cent since 2000, linked to the export push of fossil fuels. A recent comprehensive survey of the Canadian oil sector and carbon emissions makes it clear that the fossil fuel expansion backed by the Trudeau government will lock Canada into a high carbon emissions trajectory. Yet, to meet the Paris targets, the wind-down of the sector needs to start now. In various fora, scientists have been putting forward various provocative “roadmaps for rapid decarbonization, or a ‘carbon law’ – of halving gross anthropogenic carbon-dioxide (CO2) emissions every decade … that can lead to net-zero emissions around mid-century, a path necessary to limit warming to well below 2°C” (the acceptable target for global warming was further reduced in the Paris Accord to 1.5°C to be more realistic on the necessary climatic barrier). The climate justice movement has insisted on a focus on communities most directly impacted by climate change, the marginalized and indigenous peoples. But for such an alliance to be effective it also requires building a working class environmentalism that challenges capitalist production and the endless accumulation that necessarily entails ecological degradation. Unfortunately, ecological activism in North America – even when confronting climate change – relies on market measures and utopic visions of green capitalism. The 5th Report on the Intergovernmental Panel on Climate Change convened by the UN had its first Working Group report for policymakers come out in 2013, with the rest reporting across 2014, and a Synthesis Report released in 2016. The Report is the most comprehensive assessment of climate change physical impacts, and mitigation and adaptation measures available. The 6th Report is scheduled for completion in 2022. The contribution below summarizes and assesses the 5th Report, and the relations between climate change and capitalism. The Trump administration’s withdrawal from the Paris Accord and the Trudeau government’s deepening commitment to the fossil fuel industry make this an opportune time to revisit the report. The fifth report by the Intergovernmental Panel for Climate Change (IPCC) was released in 2013 ( Climate Change 2013 ). The IPCC brings together hundreds of scientists in the field of climate change to cooperate in drawing up a comprehensive analysis of the state of the earth’s climate and forecasts about its future. The IPCC report raised its estimate of the probability that human activities, led by the burning of fossil fuels, are the main cause of global warming since the mid-20th century to “extremely likely,” or at least 95 per cent, from “very likely” (90 per cent) in its previous report in 2007 and “likely” (66 per cent) in 2001. The IPCC said that short periods are influenced by natural variability and do not, in general, reflect long-term climate trends. So the argument of those whom deny global warming is man-made or is not getting worse cannot rely on the recent slowing of the rise in average atmospheric temperatures in the last 15 years. The IPCC went on to say that temperatures were likely to rise by between 0.3 and 4.8 degrees Celsius (0.5 to 8.6 Fahrenheit) by the late 21st century. Sea levels are likely to rise by between 26 and 82 cm (10 to 32 inches) by the late 21st century, after a 19 cm rise in the 19th century. In the worst case, seas could be 98 cm higher in the year 2100. The IPCC estimates that a doubling of carbon dioxide concentrations in the atmosphere would lead to a warming of between 1.5 and 4.5 degrees Celsius (2.7 and 8.1F), lowering the bottom of the range from 2.0 degrees (3.6F) estimated in 2007 report. The new range, however, is the same as in other IPCC reports before 2007. It said the earth was set for more heatwaves, floods, droughts and rising sea levels from melting ice sheets that could swamp coasts and low-lying islands as greenhouse gases built up in the atmosphere. Explaining a recent slower pace of warming, the report said the past 15-year period was skewed by the fact that 1998 was an extremely warm year with an El Niño event – a warming of the ocean surface – in the Pacific. It said warming had slowed “in roughly equal measure” because of random variations in the climate and the impact of factors such as volcanic eruptions when ash dims sunshine, and a cyclical decline in the sun’s output. But the deniers of climate change and manmade global warming remain unconvinced. Professor Judith Curry of the Georgia Institute of Technology in Atlanta responded by saying that “Well, IPCC has thrown down the gauntlet – if the pause continues beyond 15 years (well it already has), they are toast.” But Rajendra Pachauri, chair of the IPCC, retorted that the reduction in warming would have to last far longer – “three or four decades” – to be a sign of a new trend. And the IPCC report predicted that the reduction in warming would not last, saying temperatures from 2016-35 were likely to be 0.3-0.7 degree Celsius (0.5 to 1.3 Fahrenheit) warmer than in 1986-2005. The skeptics or deniers are a tiny percentage of scientists in the field of climate change. An analysis of abstracts of 11,944 peer-reviewed scientific papers, published between 1991 and 2011 and written by 29,083 authors, concludes that 98.4 per cent of authors who took a position endorsed man-made (anthropogenic) global warming, 1.2 per cent rejected it and 0.4 per cent were uncertain. And more recent studies made after the labourious IPCC compilations confirm that the earth is warming up at a rate that can only be explained by human activity. Indeed, the concentration of carbon dioxide in the atmosphere was reported to have passed 400 parts per million for the first time in 4.5m years. A study of global temperatures over the past 2,000 years has lent fresh weight to the so-called ‘hockey stick’ graph which suggests that humans caused global warming. 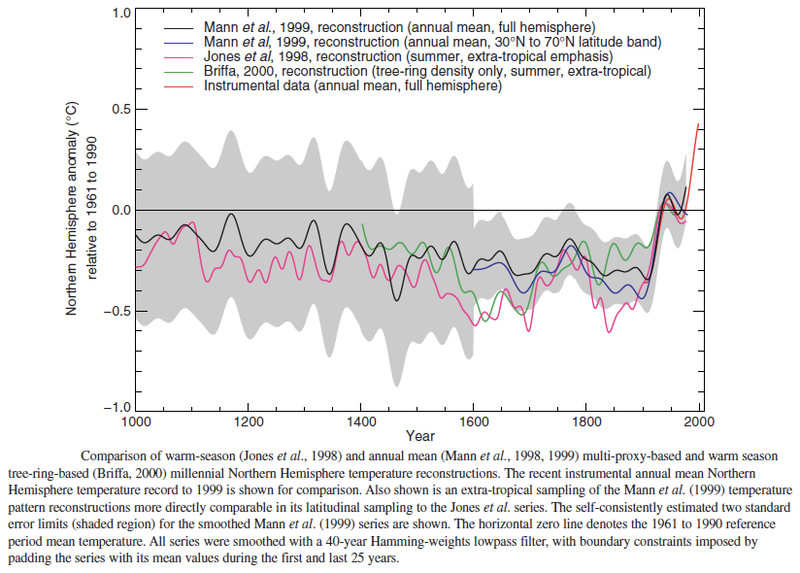 The graph, first published in the late 1990s by U.S. palaeoclimatologist Professor Michael Mann and colleagues, shows temperatures stayed roughly flat for about 900 years, like the handle of the hockey stick laid down, before rising sharply upwards in the 20th century, like the blade, after the industrial revolution prompted a rise in fossil fuel emissions. Now a paper by 78 researchers from 24 countries, the most comprehensive reconstruction of past temperature changes at the continental scale shows an overall cooling trend across nearly all continents over the past 1,000-2,000 years that was reversed by what the authors described as “distinct warming” at the end of the 19th century. Now it is possible that all these scientists have got it wrong and the small minority of deniers are right. Scientists have been wrong in the past. But each new study seems to confirm the majority view. The skeptics say that this is because these ‘global warmers’ are biased and they have turned into an academic ‘industry’ that now has a vested interest delivering these predictions. But if there are vested interests involved, it is easier to look at who is funding the work and publicising of skeptic views. It is the big fossil fuel companies in coal, oil and gas, just as past deniers about the cancerous effects of smoking were financed by big tobacco. But the vested interests of the fossil fuel companies are winning the battle of opinions, if not the science. 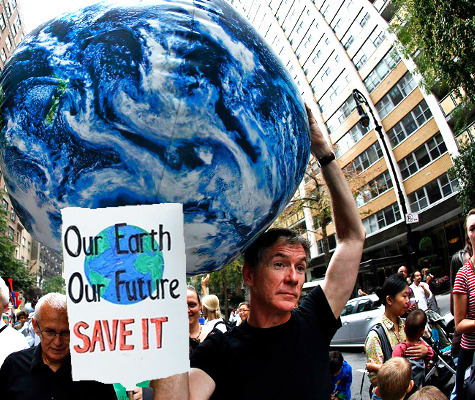 Thirty-seven per cent of American voters still believe global warming is a hoax. With growing demand for energy throughout the world, people are inclined to prefer the argument that there is no impending crisis and accept the view that there is no need for action – at least not yet. So the chances are close to zero that the reduction in emissions will be made to keep CO2 concentrations below 450 parts per million and so greatly reduce the risks of a rise in global temperature of more than 2°C. The 25-40 per cent cut in emissions of high-income countries by 2020 needed to put the world on that path is not going to happen. In my view, the evidence of global warming and its man-made nature is increasingly overwhelming. And the potentially disastrous effects from higher temperatures, rising sea levels and extreme weather formations will be hugely damaging especially to the poorest and most vulnerable people on the planet. But industrialization and human activity need not produce these effects if human beings organized their activities in a planned way with due regard for the protection of natural resources and the wider impact on the environment and public health. That seems impossible under capitalism, however. And there is modern evidence that climate change and global warming is the result of capitalist accumulation. Jose Tapia Granados and Oscar Carpintero have shown that there is a pro-cyclical correlation between the rate of increase of atmospheric CO2 and the rate of growth of the global economy, providing strong evidence that the world economy is linked with the build-up of the greenhouse effect and, therefore, with the process of global warming. In another paper, Tapia Granados uses multivariate analysis of the influence of the world economy, volcanic activity and ENSO activity on CO2 levels to show that the annual increase in atmospheric CO2 is significantly linked to the growth of the global economy. Years of above-trend GDP growth are years of greater rise in CO2 concentrations, and similarly, years of below-trend growth are years of smaller rise in CO2 concentrations. So global emissions of CO2 have increased at rates strongly correlated with the absolute growth of the global economy. Most of the rise in emissions comes from emerging economies where economic growth has been fastest. China was responsible for 24 per cent of the global total emissions in 2009, against 17 per cent for the U.S. and 8 per cent for the eurozone. But each Chinese person emits only a third as much as an American and less than four-fifths of a resident of the eurozone. China is a relatively wasteful emerging economy, in terms of its emissions per unit of output. But it still emits less per head than the high-income countries because its people remain relatively poor. As emerging countries develop, emissions per person will tend to rise toward levels in high-income countries, raising the global average. This is why global emissions per person rose by 16 per cent between 2000 and 2009, which was a period of fast growth in emerging economies. European Climate Commissioner Connie Hedegaard said: “If your doctor was 95 per cent sure you had a serious disease, you would immediately start looking for the cure.” But what are the solutions? The skeptics say nothing should be done to weaken the drive to get more energy ‘for the poor’ – but they really mean is not to restrict the profits of the fossil fuel companies. So the leaders of this capitalist world will not adopt energy policies that keep emissions below the ‘safe’ level of 450 parts per million. There is an urgent search for new sources of energy supply that are not only cleaner but also cheaper. But capitalism has failed to deliver. Investment in renewables and other low-carbon sources has just not been enough and the technical advantages of such sources disappointing. Offshore wind is a technology that is just not profitable. Nuclear, as shown by the new stations being built in Finland and at Flamanville in France, is getting more rather than less expensive. So what about changing behaviour? The chairman of the IPCC reckoned that the only way to reduce large-scale fossil-fuel use is to ‘price’ carbon emissions: “Unless a price could be put on carbon emissions that was high enough to force power companies and manufacturers to reduce their fossil-fuel use, there seemed to be little chance of avoiding hugely damaging temperature increases.” But is the neoclassical economics solution of pricing going to work to change the behaviour of energy and manufacturing companies? And what governments will ‘interfere’ with the market for energy to do so? The EU carbon emissions permits scheme designed to drive up carbon pricing has failed miserably. An alternative solution from some mainstream economists are carbon taxes. Taxing bad things like cigarettes may have some effect, but high taxes on tobacco also hit the incomes of the poorest. What is really needed is proper planning of available resources globally, plus a drive, through public investment, to develop new technologies that could work (like carbon capture, transport not based on fossil fuels, produced locally with low carbon footprints etc) – and, of course, a shift out of fossil fuels into renewables. Also, it is not just a problem of carbon and other gas emissions, but of cleaning up the environment that is already damaged. All these tasks require public control and ownership of the energy and transport industries and public investment in the environment for the public good. This article first published in 2013 at thenextrecession.wordpress.com blog. 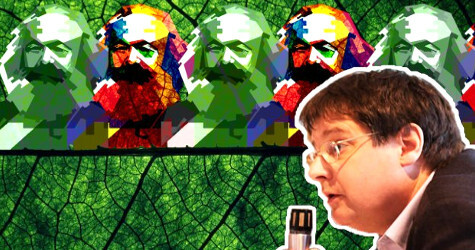 Michael Roberts is a Marxist economist who blogs at thenextrecession.wordpress.com .